This picture has been done at the pretty alpine village Srednji vrh above the Gozd Martuljek - Slovenija on occasion of one of my many trips in this region. It is representing the beautiful view of the mountains named Špikova skupina. 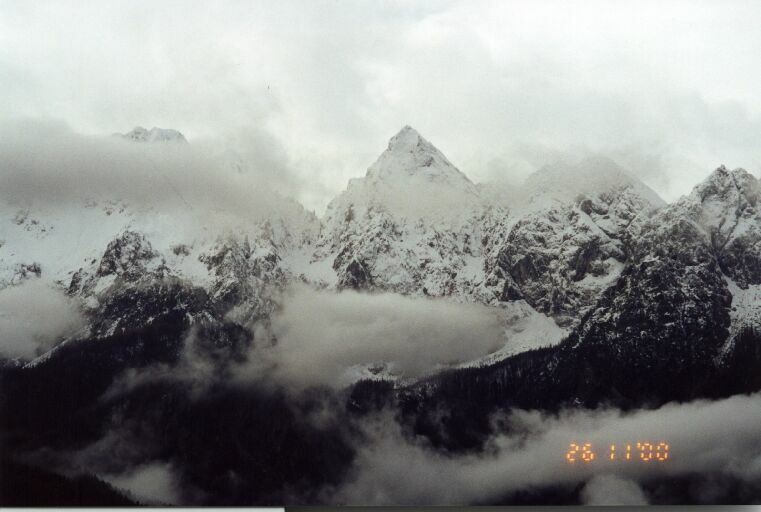 The highest peak on this picture is named Špik and it is a part of Slovenian Julian Alps.